Get ready adventurers! See the world without leaving the comfort of your own home with the awesome Geometric World Map! This striking metal-frame world map is one for sightseers and explorers at heart, and has a modern and unique look that will always catch the eye of you and your guests. A perfect reminder of the places already seen, and roads still left to travel! 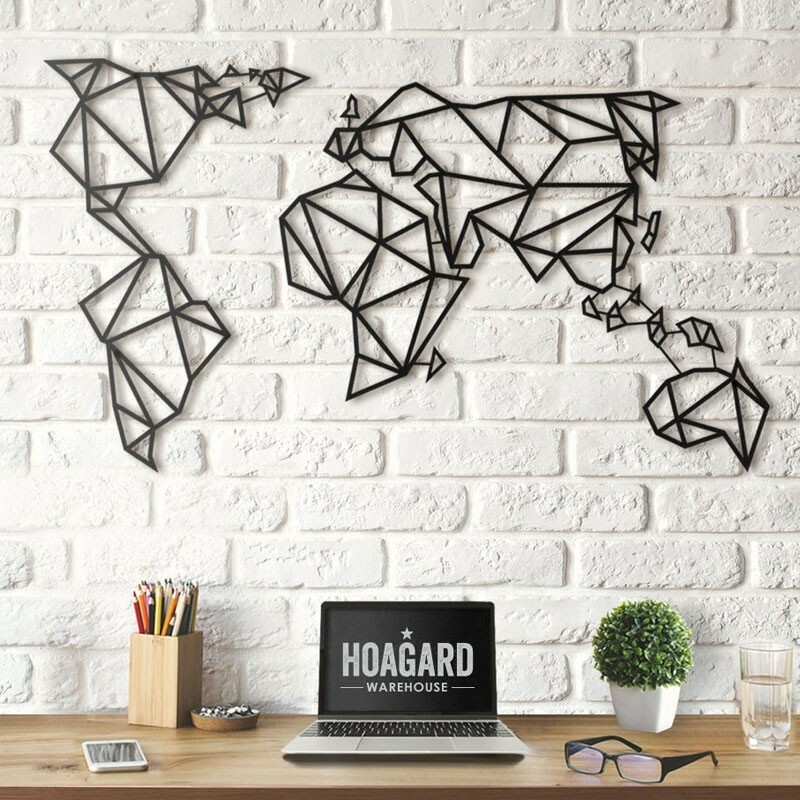 With its straight lines and minimalist design, this world map wall decor would make a fab fit for any office space or living area. The product comes in two separate pieces which are easily mountable. All it takes is a couple of nails! Great quality and it looks great on the wall. We just love it and cannot stop admiring it. Love the product! Great quality, good instructions and some nice touches with the packaging. I love it! Thanks Red Candy! Looks great! Happy with quality, and best price I could find online. I bought this as a Christmas present for my son so I don't yet know his thoughts about it.